If you are searching for weight loss doctor options by trusted physicians in the greater Tampa Bay Area to help you shed fat and regain control of your life, look no further than the Dr. Urshan Health and Weight Loss Center. Unlike other medical weight loss programs on the market, our proprietary weight loss technology is formulated to work with all body types and metabolic needs for a fast and effective weight loss experience*. The Dr. Urshan weight loss system addresses internal barriers to weight loss at the source. Each patient receives a custom meal plan that is based on your body’s dietary and hormonal needs and composed of foods that you will enjoy and will help your body torch fat fast. 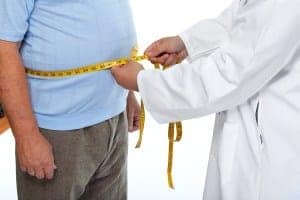 While these popular, but generally unsuccessful, components of most physician weight loss programs may assist with appetite suppression and fat burn enhancement, these pharmaceutical-heavy approaches often become expensive and can even cause the body to develop a dependence on products after long-term use. In addition to these potentially dangerous side-effects, these diet supplements often cause feelings of hunger, nausea, moodiness and fatigue, and once they are no longer utilized, the weight can come back with a vengeance. Why subject yourself to the traditional methods of weight loss when they haven’t been proven successful? Any weight loss doctor will agree that addressing the root cause of weight gain is the best and most effective way to lose weight and sustain results for years to come. We’ve helped those in St. Petersburg, Pinellas Park, Seminole, Palm Harbor and the neighboring areas do just that. Ditch the fad diets and contact us today to schedule your free consultation with Dr. Urshan.